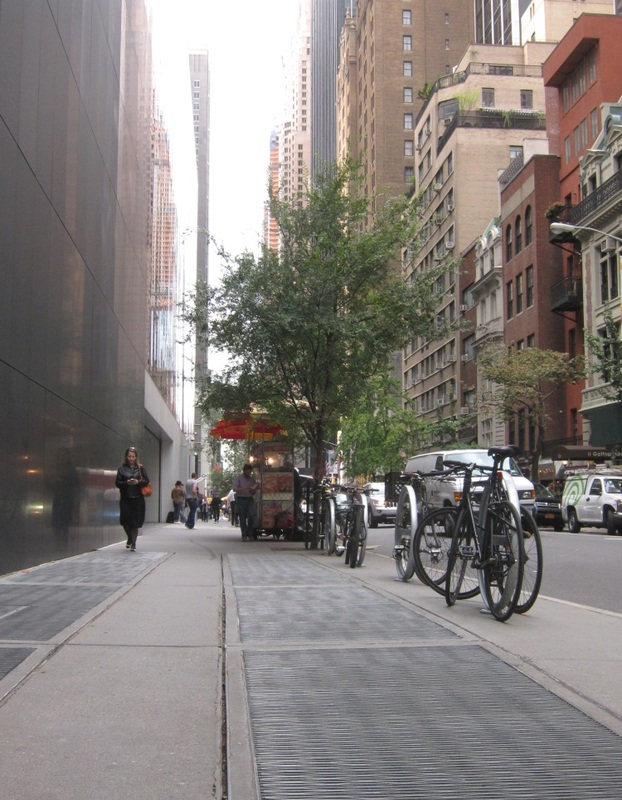 A bike-friendly area, by the 54th Street entrance of MoMA. It was cloudy yesterday, but no matter. I always like that block for picture-taking, as I’ve mentioned before. No matter the temperature, some will always choose to walk in the sun or shade. 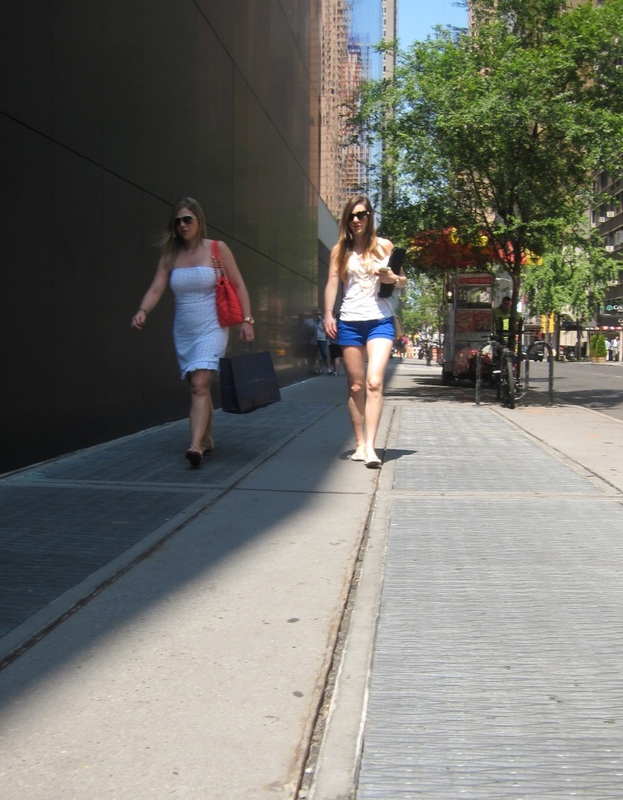 My summer nightmare is a street where there’s no shade – in this scenario I’m the grate-walker. Dad is aloof, too. What is a family vacation without simmering tension and a little drama? 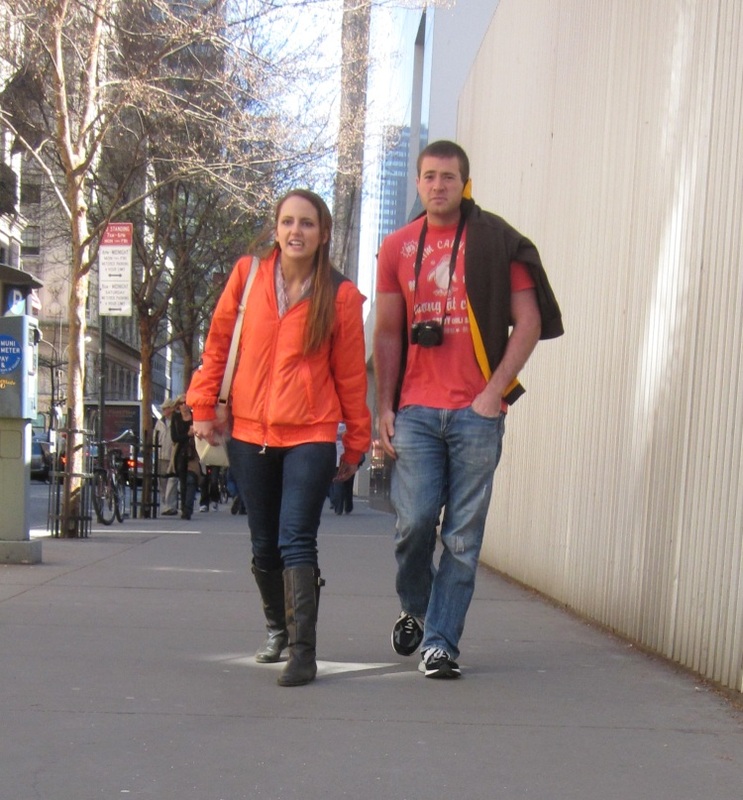 It is hard work being a tourist in NYC. One must remain focused at all times and even-tempered to maximize the experience. 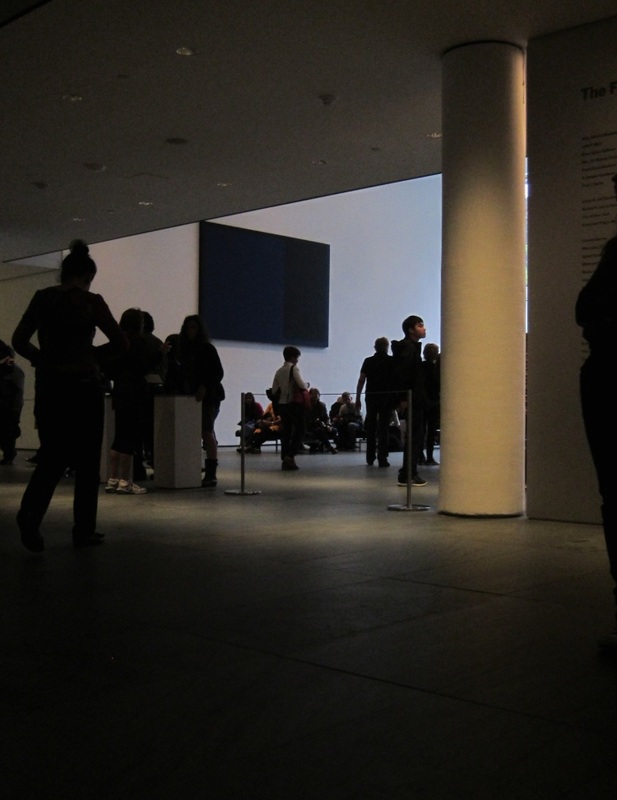 The Cindy Sherman retrospective is up at MoMA. The show, with over 170 photos, will be there for another two months and a bit, until June 11. 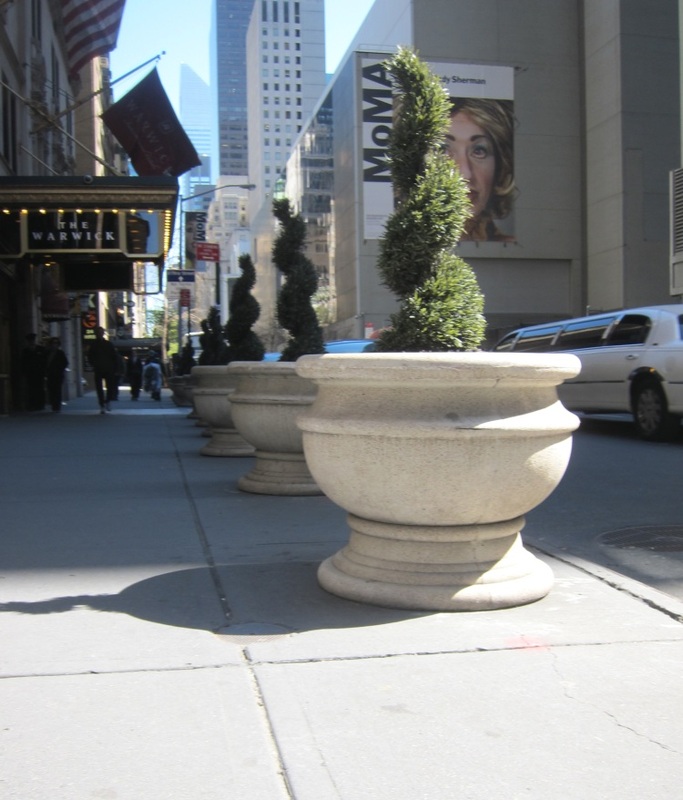 In contrast, these plastic topiary bushes in front of the Warwick will be there indefinitely, season after season. 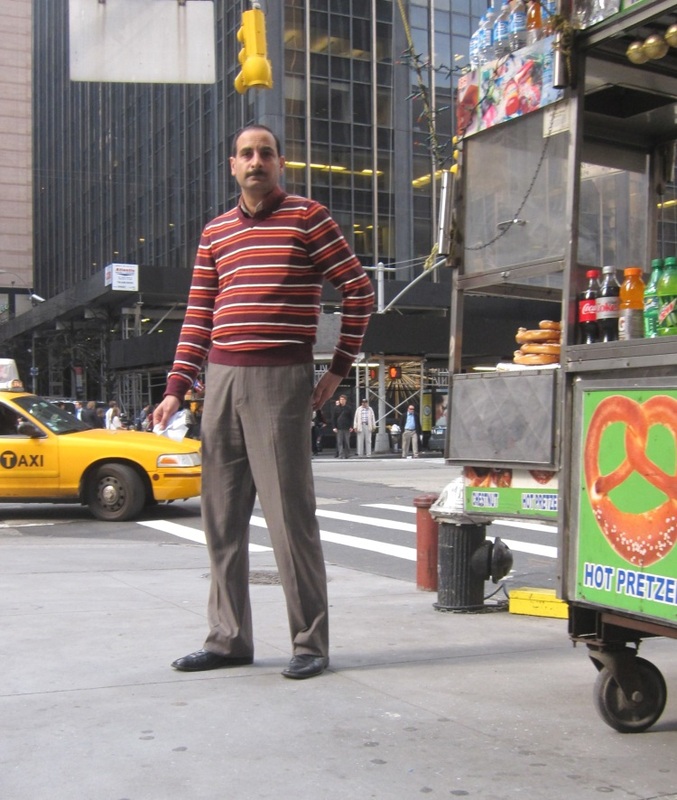 He dresses sharp, will make you a hot dog, and serve you a hot pretzel. But if you don’t want food, today’s man will hand hand you a napkin free of charge. 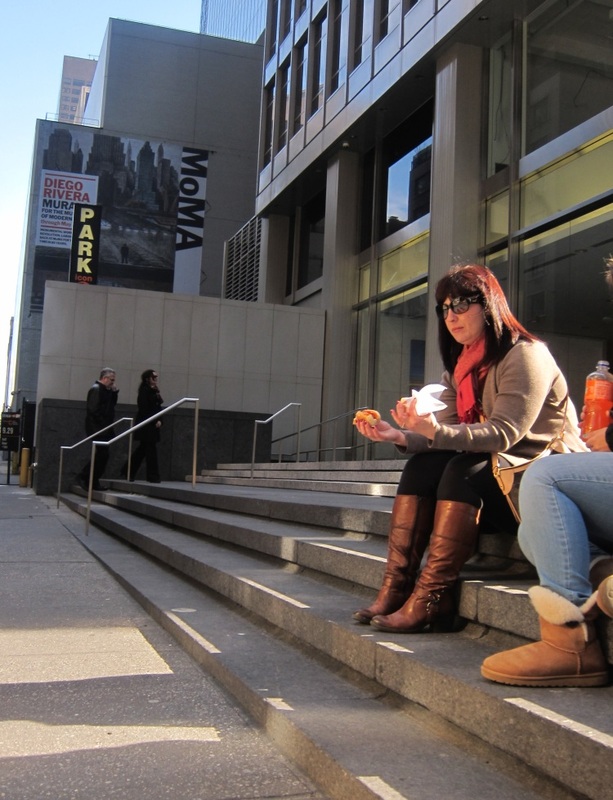 The restaurants inside MoMA are good, but so is dining al fresco in winter, huddled with your friends on the sidewalk. 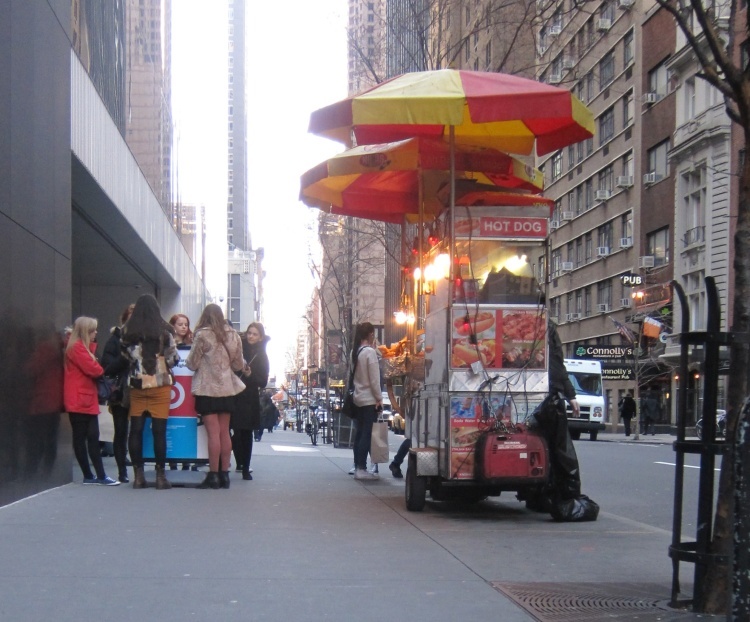 The food vendors at 54th Street are much less popular than the Halal guys at 53rd. The corner is not is not taken over by meat in foil dishes. 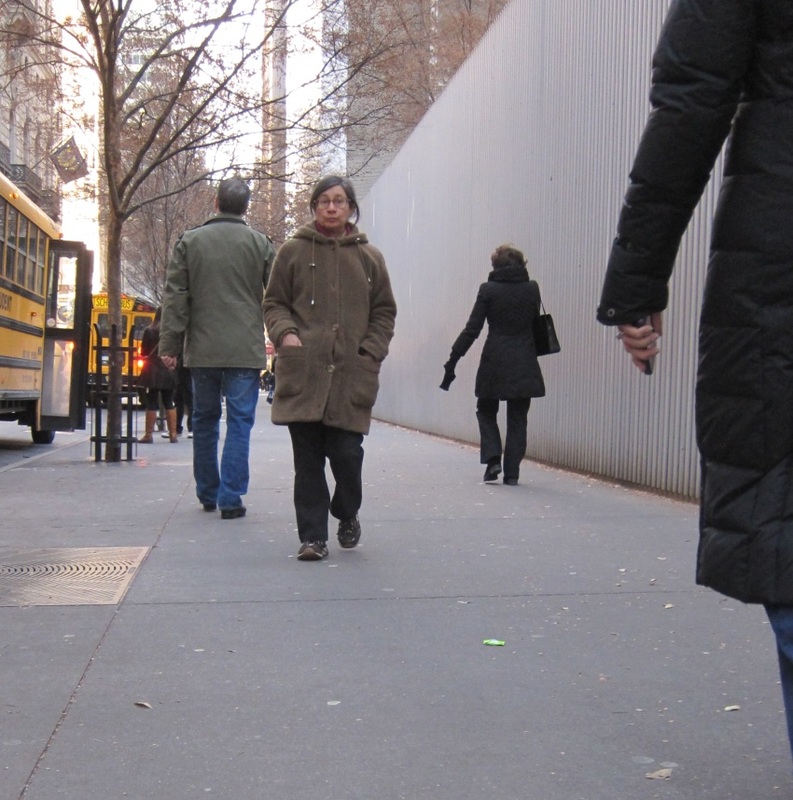 We can enjoy the workaday vistas without olfactory distraction and dangerous sidewalk grease spots. This week is perfect for school field trips. Next week is vacation, no work is getting done anyway, so why not go look at some modern art? Adults are wandering around thinking, Shouldn’t I be doing something for the holiday?